I just returned from an absolutely amazing trip to Budapest. I was visiting the city with my dear mother and “wow” is probably what describes this city in the best possible way, according to my mum (she was speechless). If you’ve ever been to Budapest, you’ll know there are two distinct sides to the city: Buda and Pest. 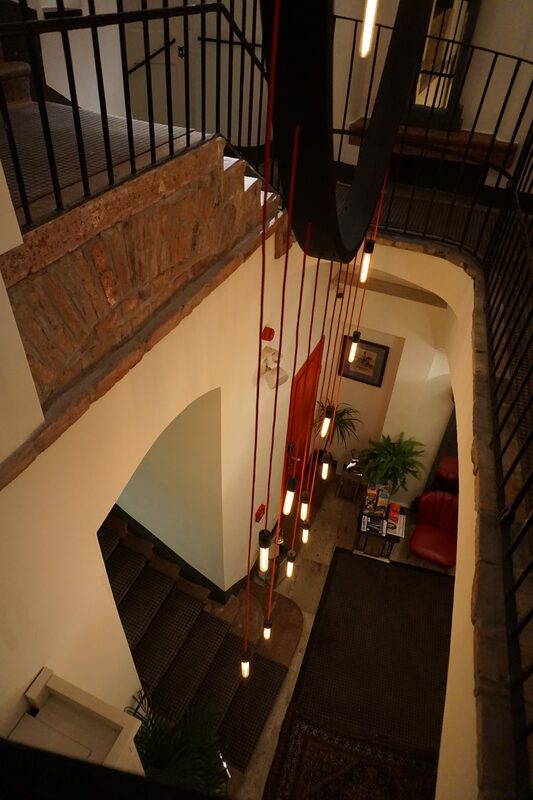 I’ll be more detailed about the city later, as I want to share my experience at the most charming boutique hotel I’ve stayed in: Pest-Buda Boutique Hotel. 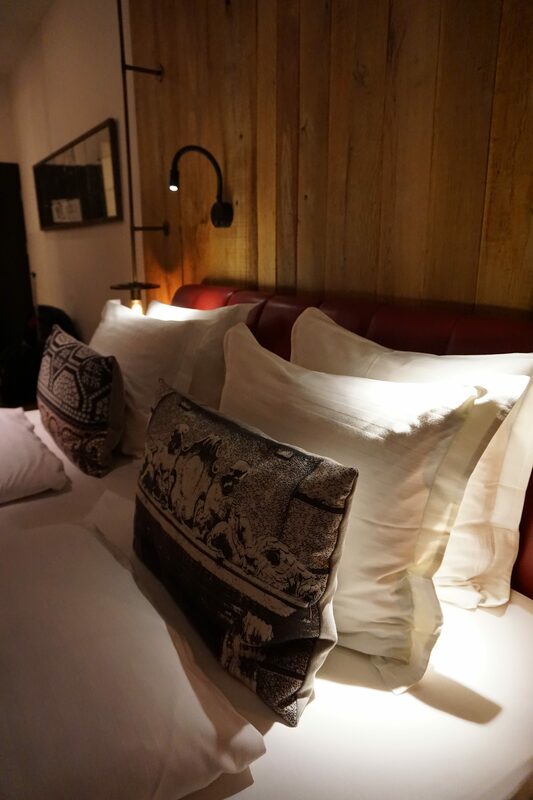 I’ve become a fan of boutique hotels in the recent time, as I love the fact that they are unique and usually very small and original. Pest-Buda definitely fulfills this description. 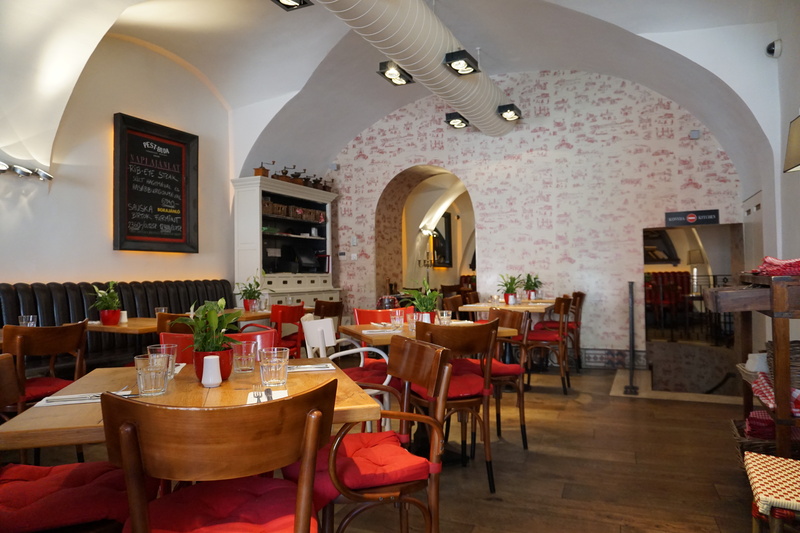 A stylish boutique hotel with a typical Hungarian restaurant, that is situated in the historical site of Budapest, really close to downtown- in one of the most beautiful part of the Castle District. 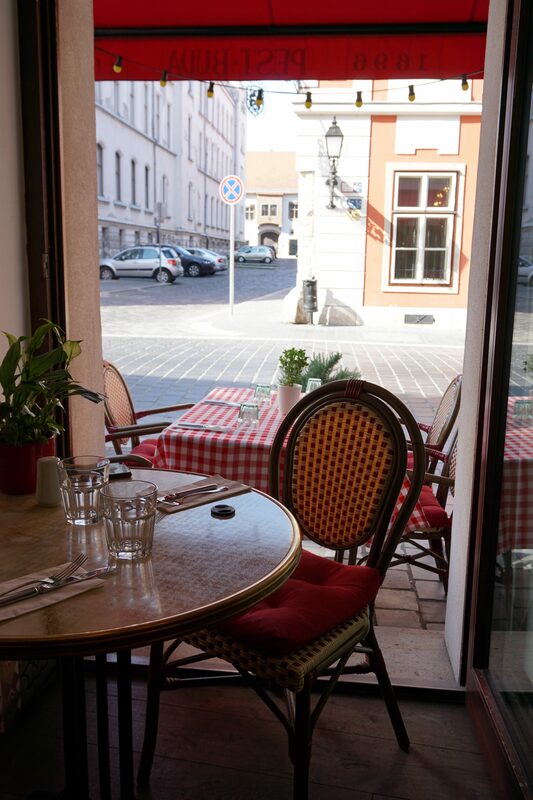 This family-owned boutique hotel is Hungary’s oldest hotel, it opened its doors firts in 1696. It’s situated in the calm Street Fortuna, only a couple of steps away from the spectacular sight of the city, Mathias Church. 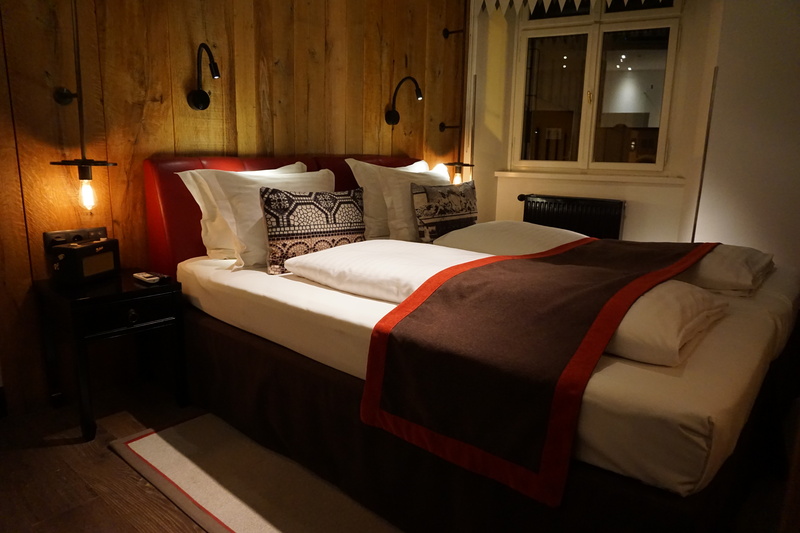 The rooms’ walls are decorated with Hungarian contemporary artworks, rustic oak tree walls, and oak tree flooring made by local artisans. 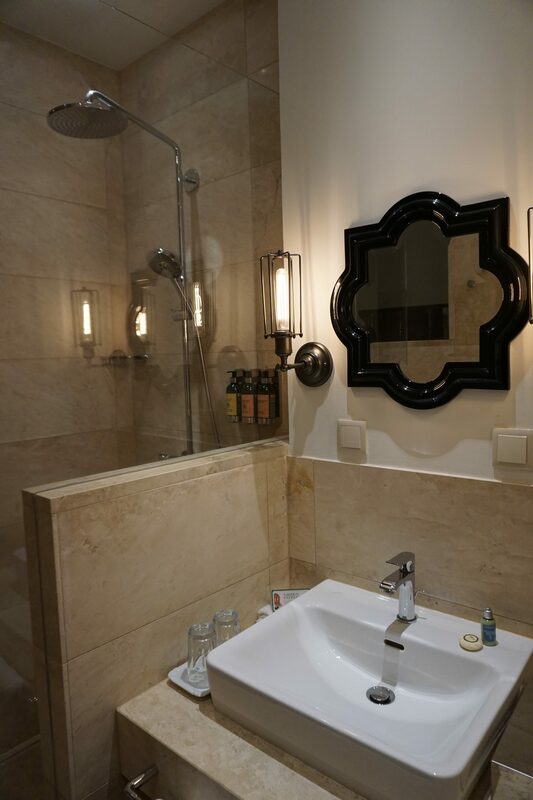 In the hotel rooms, local limestone was used to build the handmade Hans Grohe-type tropical shower. What makes this hotel so unique is that it only offers 10 rooms and suites, so it provides an intimate experience. 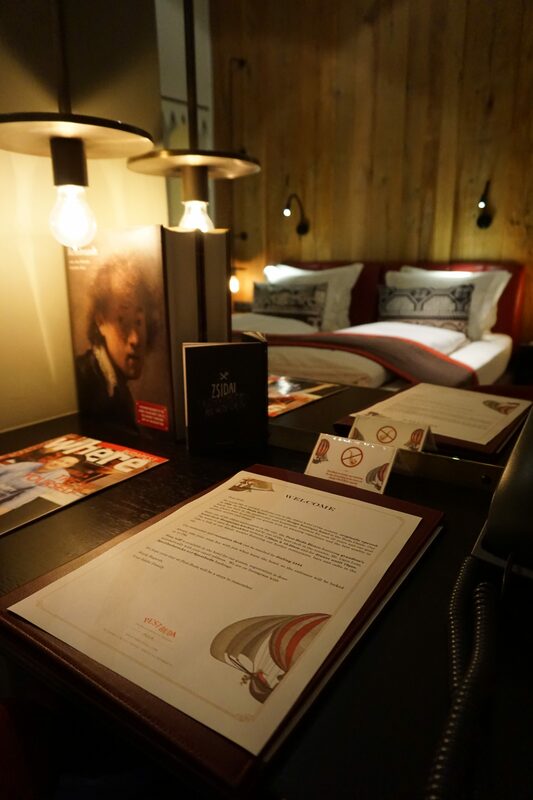 The concierge takes initiative to call you by name and provide a tailored stay to guarantee the best time in Budapest. I stayed in the Deluxe Room, and I absolutely loved my room. 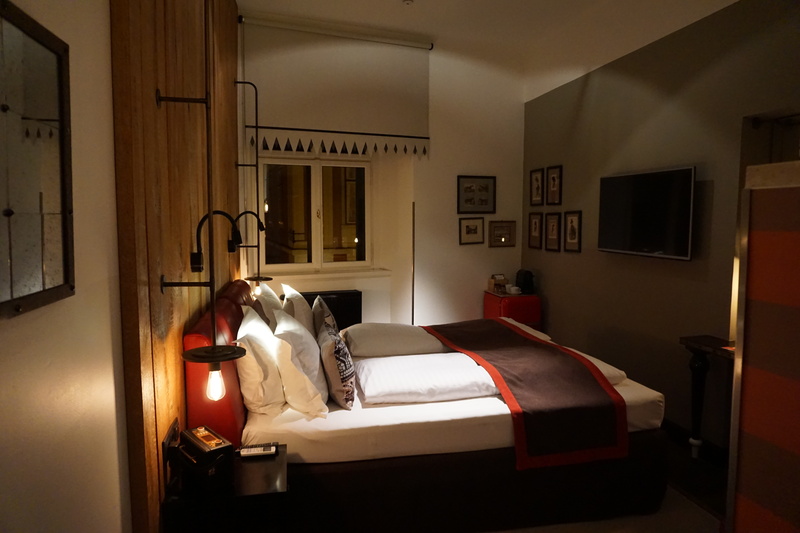 The rooms combined modern and vintage furnishings with king beds and plush linens. 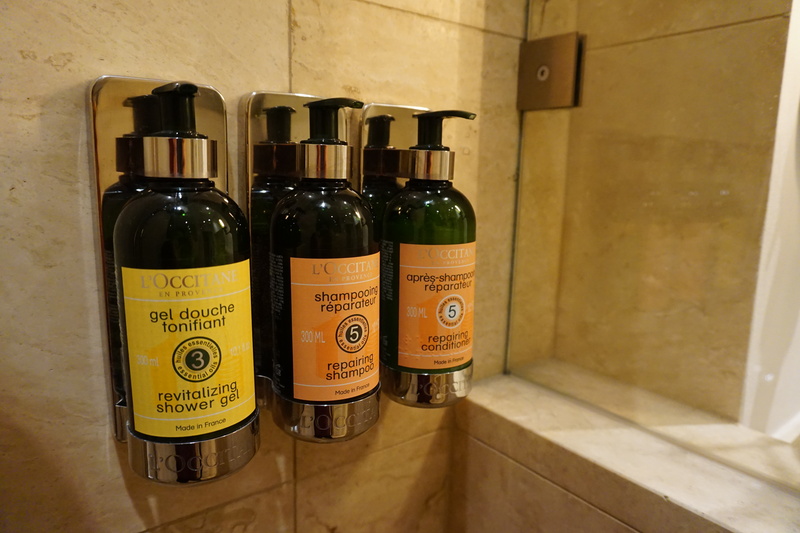 The bathrooms featured handcrafted local limestone, rain shower heads, and luxury bath products by L’Occitane. Next time you plan a trip to Budapest, be sure to consider Pest-Buda, I had an amazing experience, and I definitely hope to stay here again! 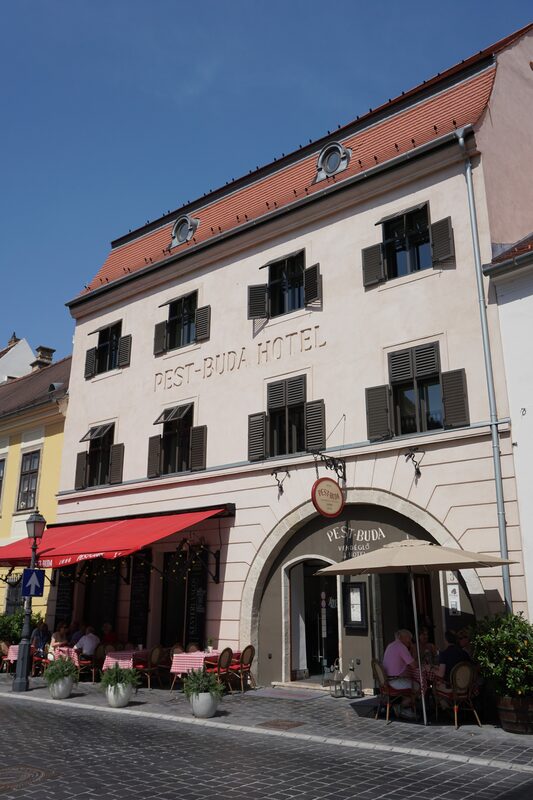 If you don’t want to stay at the hotel, make sure to visit the Pest-Buda Bisto. The hotel has a lovely restaurant serving delicious food! Thank you Pest-Buda for partnering with me on this post.